We Provide Waterproof hanger, German Hanger on rent for various kinds of events. A German Hanger is a portable Shelter, Stretched over a supporting framework of aluminum alloy. Ideally suited for events such as Weddings, Parties, Corporate Get Together, Exhibitions and so on. -available for event, exhibitions etc. 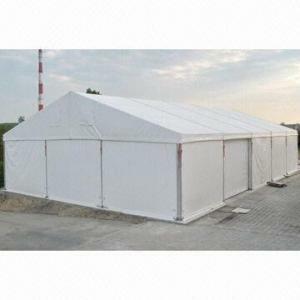 All are Limitlessly expandable, convenient and robust are few features of our high quality exhibition tents, which are fast and easy to install with impressive strength and resilience. Construct your own exhibition hall with our spectacular attention getting shape. All our exhibition tents can be expanded limitlessly. Our tents have variety of walls, doors and other accessories allowing you to form and design numerous style and mixtures.